Homepage / Skin / Is Last Summers Sunscreen still Effective? Is Last Summers Sunscreen still Effective? By making your suitcases to go on vacation, you wonder if the sunscreen that you have left of last year is always effective and if you can reuse it. A study carried out by the Italian newspaper Altroconsumo ( the odor equivalent of 60 million consumers in France) says that it is possible. 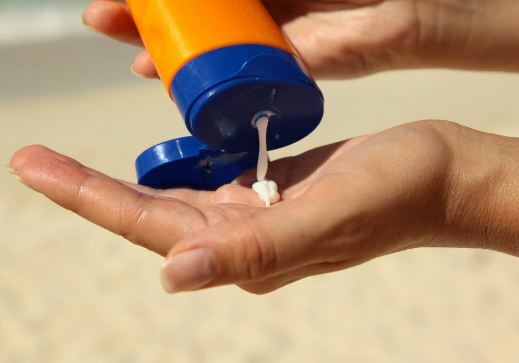 The Italian newspaper Altroconsumo conducted a study to analyze the action of sunscreen from one year to the next. On the pictogram on the back of the products, it is advisable to discard the tube beyond 12 months after opening, as it is likely to no longer protect the skin effectively. But, according to the results of the study, it would still be possible to use them once this time exceeded. To reach these conclusions, researchers carried out a test on three sunscreen creams with a 50 + protection index (Tonia, Nivea Sun Kids Protect, Garnier solar amber). The products were brought in laboratories and subject to similar conditions of the holidays. The creams were warmed and cooled (as in a plane ride) and kept at a temperature of 40 degrees for two weeks. They were also opened and closed several times and exposed to the sun. The results of the experiment first showed that the creams had changed neither appearance odor. In terms of efficacy, laboratory tests claimed that the three products had been effective and that the protection index (50 +) had remained the same. Altroconsumo adds that five other sun protections have been subjected to the same experiments and that they have escaped unscathed. However, sunscreen, like all cosmetic products, does not completely withstand the sun and high temperatures. To keep it as long as possible, it is advisable to keep it in the shade at the beach, to pay attention to the grains of sand that could seep inside, not to mix it with water and to close it immediately after use. Which Effects of Sun Exposure are Immediate?